It’s been so fun to see crowds of people gathering at local landmarks to play Pokemon Go this summer. 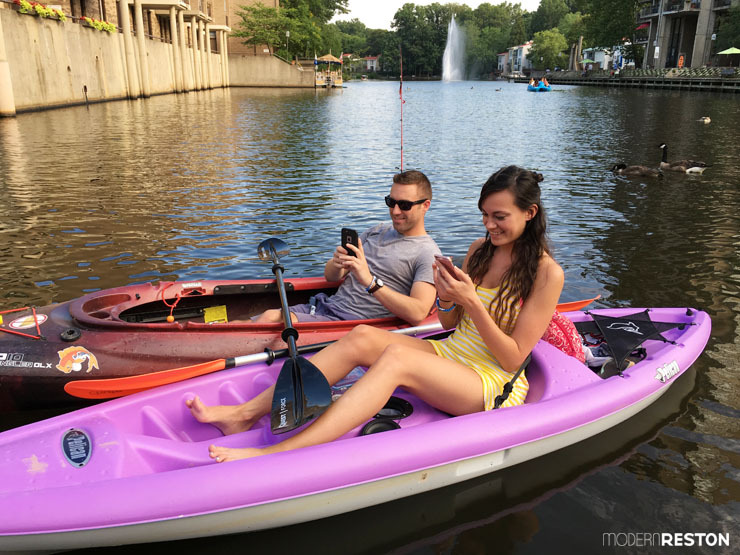 As I learned through many conversations with players, Pokemon Go has inspired lots of people to spend time outdoors when they would ordinarily be sitting at a screen inside. If you’re one of the many people who enjoyed a summer outside catching Pokemon, but the excitement of the game is slowing down for you, try some of these apps. Ingress: This is one of the most well-known augmented reality (AR) games, created by the developer of Pokemon Go. It uses many of the same locations and strategies as Pokemon Go, but with a less cutesy style. Available free on Apple and Android. Zombies Everywhere: They’re right behind you! AR brings zombies to your neighborhood, and you have to destroy them. (Age 17+ only) Available for $0.99 on Apple. SpecTrek: This AR game is similar to Pokemon, except you are searching for ghosts and you use your phone’s camera to capture them. Available for $2.49 on Android. Clandestine Anomaly: Location-based AR places your city at the center of an alien invasion, and you have to battle the invaders. Available for $3.99 on Apple and Android. Geocaching: If you’d rather search for items in actual reality, try geocaching. Use an app to navigate to containers that are cleverly hidden in the real world. Available free on Apple and Android. Klikaklu: This photo hunt game enables you to play scavenger hunts in locations around the country, or you can make your own. Available free on Apple. The Walk: This fitness tracker app involves you in an engrossing story that will be revealed only after you’ve walked certain distances. Available for $2.99 on Apple and Android. Zombies, Run! 5k Training: You’ll run faster and farther if zombies are chasing you. This version of the popular game helps you train for a 5K race. Available for $1.99 on Apple and Android. BattleSuit Runner Fitness: In this running app, you are a soldier completing missions. Your music playlist even integrates into the action. Available for $2.99 on Apple and Android. Charity Miles: Every mile you walk or run will earn money for charities. Available free on Apple and Android. Field Trip: This app runs in the background and pings you when you approach a location of interest, then it gives fascinating historic facts and recommendations for shopping and dining. Available free on Apple and Android. City Guides by National Geographic: Explore New York, London, Paris, or Rome with this beautiful collection of images and information. Available free on Apple. National Parks by National Geographic: This is a visually stunning interactive guide to 25 of the US National Parks. Available free on Apple. Star Walk: Night owls will love this astronomical guide to the night sky. It follows your movement and helps you identify stars and constellations. Available for $2.99 on Apple and Android. Disneynature Explore: This augmented reality game helps kids explore nature and learn about animals and their habitats. (Ages 6+) Available free on Apple. DIY Lake Science: Families can explore lakes and streams and do experiements to learn about freshwater ecosystems. (Ages 6+) Available free on Apple. Plum’s Photo Hunt: This game sends kids on missions to photograph things that they find in nature, such as bugs, plants, or weather. (Ages 6-8) Available free on Apple. Jump Jump Froggy: Kids can learn physical fitness and math with Flip the Frog, Jake the Snake, and their friends. (Ages 4+) Available free on Apple.